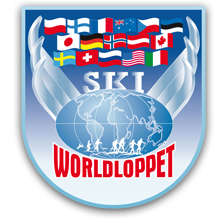 All these weeks are open to all levels of skier, from the advanced racer to the first timers on snow, over the course of the week ,we will instruct you in all elements of cross country skiing in both classic and skating. If you are new to a ski marathon, we have a number of options, you may not wish to take part in the full distance race, so you also have the option to take part in the half distance race. Also If you are feeling up to a challenge then you can take part in two marathons over the weekend. Each day we cover the finer points of cross country skiing, use video feed back each day, cover all aspects of racing, or as we sometime say having a long ski with lots of people. You way wish to just focus on classic or skating during the week, this is not a problem as we tend to have two or more instructors on all the trips. For more information about these weeks or advice on summer training leading up to the winter just drop us an email and we will be more than happy to help you plan your summer training.